· Bruschetta – Fresh tomato, garlic, and herbs come to you with or without a touch of goat cheese to top the whole dish off. Made on gluten-free toasted bread, there’s no starter that whets the appetite during spring quite like Bruschetta. The best part? Those fresh tomatoes are going to give you a burst of seasonal flavor that makes you even more excited for the summer season to come! 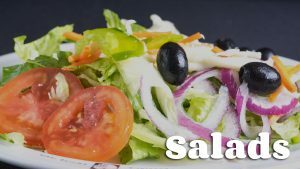 · Salads – We have 6 salad picks on our gluten-free menu, and every single one is primed and ready for fresh springtime enjoyment. From the classic Dinner Salad filled with fresh vegetables and chicken breast (if you so choose) to our flavor explosive Spring Mix. If sweet and savory is what you’re looking for, the Spring Mix salad features pecans and candied cranberries along with blue cheese crumbles and a delightful Dijon Vinaigrette. · Basil pesto pasta – Just because you’re looking at our gluten-free menu doesn’t mean you can’t enjoy a bevy of delicious pastas! For springtime, our ultra-fresh gluten-free Basil Pesto Pasta comes with or without chicken, and features a great herbal basil pesto sauce overtop of our completely gluten (and worry) free spaghetti. · Smiling Teeth Pizza Combos – You can’t make mention of our gluten-free menu without giving a proper shout-out to our Smiling Teeth Pizza Combos! Just like how the Campfire pizza is bursting with the flavors of fall, our Shrimp Santori, BLT, and Panama Red are packed full of the fresh taste of spring and summer. There’s going to be plenty of long days in the sun filled with fun with the family this spring and fall, so why not let us take care of dinner for you? 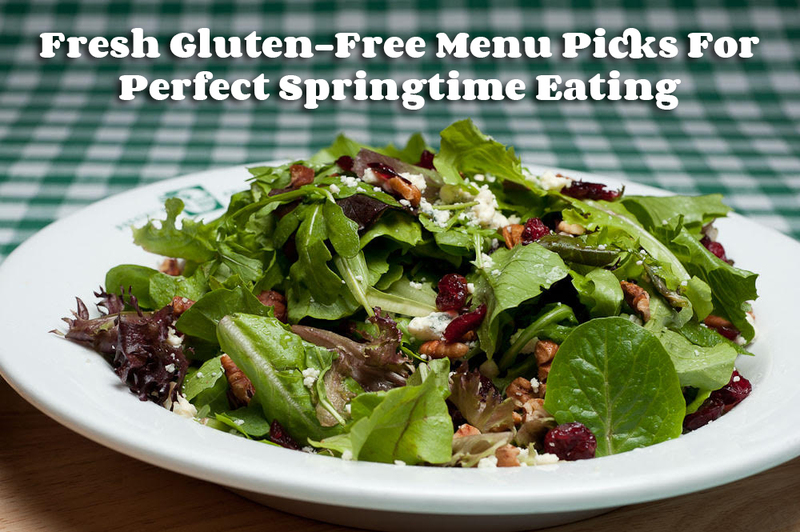 Stop in and check out our gluten-free menu today to see what fresh eats will be filling your bellies this season!